Today's challenge was Classy Casual, a phrase that basically sums up my style in general. I still wanted to make today a challenge, so I decided to focus more on the casual. 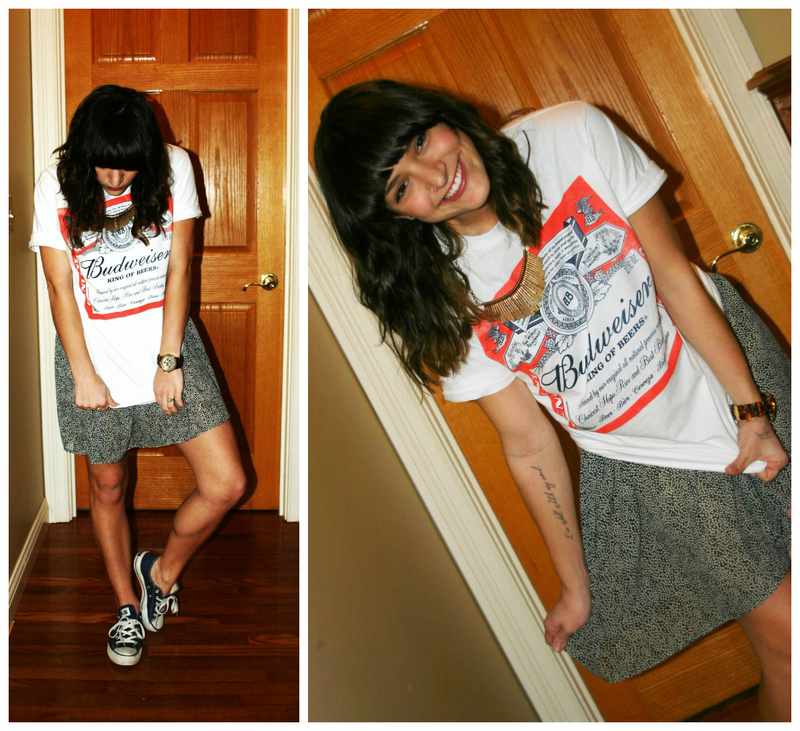 Wearing a babydoll dress for the foundation of my outfit, I threw on my new Budweiser tee and Converse to Cas it up. DISCLAIMER: I am gluten free, I don't drink beer, I have no favorites when it comes to brewing companies, I just thought the design on this shirt was cool. Happy Classy/Cas Thursday! Sorry my blogging has been inconsistent this week, turns out wedding planning is a full-time job in & of itself. But I am having so much fun. 121 days until I marry my best friend. Tomorrow he and Elvi are coming to visit. I'm also gearing up for a super fun inspiration shoot tomorrow morning with kristin sweeting! Such fun and exciting things are happening.